The holidays are a time for great joy for some, and a time of stress and frustration for others. 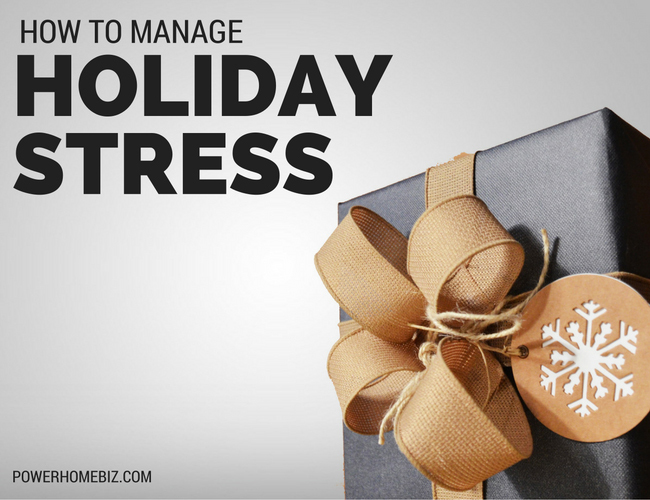 None of us should be denied the joys of the holiday season and so I have put together the following seven suggestions to help you “bust” the holiday stress and enjoy this time more. We know well in advance, (like a year before), that the holidays will require a lot more of our time for special preparations in addition to our regular routines and responsibilities. However, many of us get caught short, in crisis management, running around at the “eleventh hour”, trying to get the last minute stuff done, feeling a bit (or a lot) stressed out. The solution is to plan ahead and schedule these tasks and events with greater care. It always seems to get done sooner or later. Why not sooner, at your pace, without so much of the hassle? During the holidays, with all there is to do, the parties, the preparations, the shopping, the wrapping, and the cooking, it is easy to pay for the additional time required with our sleep time. The problem for many is that when they don’t get enough sleep, they get cranky and don’t enjoy what they are doing as much. Not only that, they may not exactly be a pleasure to be around! Each of us has a different sleep level that we require to feel rested. Especially during the busy holiday period, take the time for adequate sleep so that you have the energy to get into the full swing of things and enjoy it as it happens. Anything in moderation. The holidays are a time when it is easy to overindulge in what we eat and drink. The problem is, we pay for it later and sometimes sooner. A little advanced planning might help as well. For example, let’s say you know that you always accumulate an additional five pounds over the holidays. Make it a point to drop five pounds before the holiday season. Many find it is easier and less stressful to lose that additional weight before, rather than after, the holidays. 5. Set a financial budget and stick to it. We tend to want to be generous and when shopping, it is easy to fall prey to “impulse buying” and “go all out” with the credit cards. Then, we experience the “post holiday blues”, when the bills arrive in January. Plan what you will spend before you go to the stores, when you are rational, and then stick to those budget amounts when you are in the stores when you are more emotional. 6. Don’t overload this time period. KISS. “Keep it Simple.” This is not the last holiday period you will enjoy. You can’t do everything but you can do and enjoy the most important things. Sure you will do more now than at other times during the year. Have a grand time, a memorable holiday season. Just don’t try to “do it all”. Save something for next year. 7. Enjoy the journey, not just the destination. 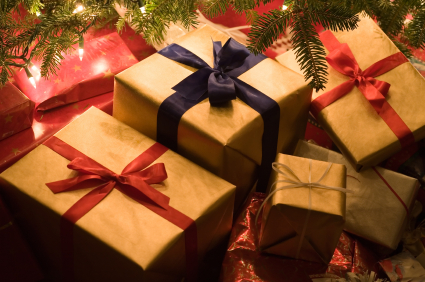 Don’t “dread” any part of it, the shopping, the wrapping, the cooking, the cleaning, etc. Find happiness in all of it. Enjoy it all. Some place all their eggs in one basket. If all the celebration and the joy are scheduled for that one night, perhaps Christmas Eve, what happens if it’s a disappointment? The whole season is a bust. Enjoy all the stuff leading up to the “big night” and enhance the quality and your level of enjoyment of the entire season.